Great instructor, Started with Colin as a beginner and passed with 2 minors after only having 26 hours of lessons. Very friendly and reliable, highly recommend!! Absolute amazing instructor who can have a laugh but also teaches you so much! He is so calm and relaxed and every lesson was great fun! I'm a much better driver now after having Colin's help! Highly recommend him. I wish him the best for the future! Thanks!! Colin was a great instructor. He was very friendly and confidence-boosting, taking lessons at the pace you wanted/needed. Would happily recommend him to other learners! The best driving instructor out there! Such a nice man and a brilliant teacher, can't thank him enough for getting me on the road first time!! Couldn't recommend him enough to anyone! Thanks Colin!!!!! What an amazing driving instructor!! I wouldn't have been able to pass if it wasn't for Colin. Lovely bloke and an amazing instructor thank you so much Colin. Colin is a lovely guy and really patient, I had never driven before my lessons with him and with his help and support I managed to pass first time. I would highly recommend him to anyone. Great instructor! Such a relaxed and comfortable atmosphere. Great teaching method!! Thanks Colin! 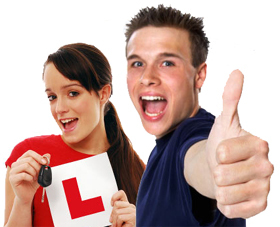 Colin is a great Driving instructor who is patient, understanding and supportive to my needs. I ‘am so glad to have had Colin as my instructor because he worked on my confidence and prepared me for my test so by the time I reached the standard required for the test I felt confident that I could pass. With Colin`s help I passed both the theory and practical tests 1st time. I learnt to drive with Colin and passed 1st time, from day 1 Colin made me feel at ease and my confidence grew through relaxed, enjoyable and thorough lessons. My driving lessons covered the areas of Norwich in which the test was carried out, I was extremely happy to have passed my test 1st time with only 2 minor faults and would therefore not have any hesitation in recommending Colin to friends and family, in actual fact my daughter has already started taking lessons with Colin, many thanks Colin. I started lessons with Colin in April 2014 passed my test in June 2014 ( I had previously taken lessons with someone else ) In that time Colin made me feel relaxed and confident behind the wheel, his teaching techniques are brilliant and having had previous instructors he was by far the most patient. Colin has a great sense of humour which helped me feel relaxed, I would always recommend Colin to anybody looking to take driving lessons, I passed with flying colours all thanks to Colin. As a nervous person, driving lessons sounded daunting, but Colin`s calm and concise instructions gave me the confidence I needed to pass 1st time. Colin has a calm and honest nature and was just what I needed, I would recommend Colin to anybody requiring driving lessons. I really struggled with driving at first, I had two instructors before Colin and neither of them gave me as much encouragement or confidence as he did. I really didn’t think I would ever pass my test but within just a few lessons with Colin I was sure that I would. Colin was always punctual, professional and patient; he always listened to my concerns and worked hard to help me become a confident driver. If it wasn’t for Colin I’m sure I would have given up on learning to drive, and I would still be getting the bus to work every morning!